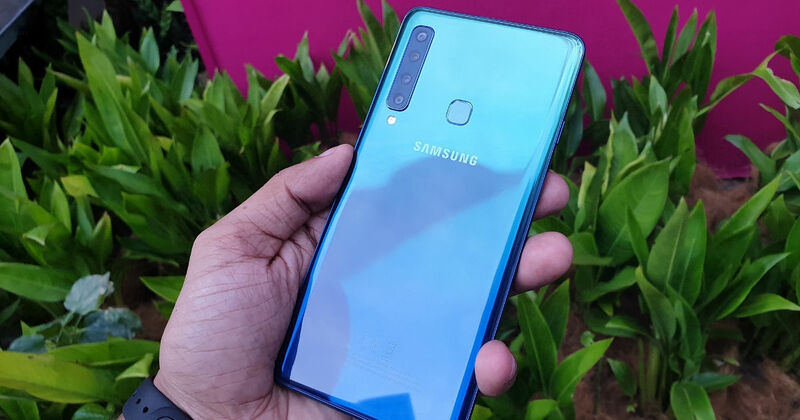 Samsung has finally launched the much-awaited Galaxy A9 (2018) (first impressions) in India. The latest from the South Korean brand is the world’s first smartphone to come equipped with a quad-camera setup on the back. With a starting price of Rs 36,990, the handset is available in three colour options including Caviar Black, Lemonade Blue, and Bubblegum Pink. At the outset, the A9 (2018) seems like a compelling offering, however it has to go against very strong competitors. So, let’s take a look at all the alternatives to the newly-launched Samsung Galaxy A9. The OnePlus 6T is likely to dent Galaxy A9’s prospects the most. The 6T is powered by the flagship Snapdragon 845 chipset as opposed to the Snapdragon 660 SoC powering the Samsung handset. As far as other specs are concerned, OnePlus’ smartphone comes equipped with a 6.41-inch AMOLED display and is protected by Corning’s Gorilla Glass 6. On the storage front, the 6T is available with 6GB or 8GB of RAM and 128GB or 256GB of internal storage. For imaging, the device includes a rear-facing dual-camera setup consisting of 20-megapixel and 16-megapixel sensors. The front camera is a single lens 16-megapixel unit. Backing the device is a 3,700mAh battery armed with proprietary fast charging. Vivo NEX made headlines well before launch, all thanks to the motorised front camera allowing for almost an edge-to-edge display. The phone is powered by Qualcomm’s Snapdragon 845 and paired to 8GB of RAM. The device offers 128GB of internal storage and is backed by a powerful 4,000mAh battery. As far as cameras are concerned, NEX comes equipped with a pair of shooters on the back, comprising a 12-megapixel sensor and a 5MP depth-sensing unit. The 8-megapixel front camera is hidden inside the device and will elevate once activated. The device is also among the very few offerings to ship with an under-the-display fingerprint scanner. The G7 Plus ThinQ sports a 6.1-inch QHD display with an aspect ratio of 19:5:9. As with all the other devices in the list, this phone is also powered by the Snapdragon 845 SoC. For storage, the LG smartphone comes with 64GB of internal storage and 6GB of RAM. In the imaging department, the device flaunts a pair of shooters on the back that is made up of a 16-megapixel lens and another 16MP super wide-angle shooter. The front camera is an 8-megapixel unit. The LG G7 Plus ThinQ also offers a slew of audio-centric features like Hi-Fi Quad DAC and DTS:X 3D Surround effect. The device also offers sound presets, equalizer, digital filter and an option to adjust sound balance. The Zenfone 5Z features a 6.2-inch FHD+ display with an impressive screen to body ratio of 90 percent. Unsurprisingly, the device draws power from the top-tier Qualcomm Snapdragon 845 silicon and is mated with 6GB / 8GB RAM. Storage options on the ASUS phone include 64GB, 128GB or 256GB, depending upon the RAM variant you opt for. In the camera department, the ZenFone 5Z offers a dual rear camera setup with 12MP+8MP sensors while there’s an 8MP front-facing shooter for selfies. The device is powered by a 3,300mAh battery. The Samsung Galaxy A9 will be going on sale in India on November 28th. As can be seen from the alternatives mentioned above, while the A9 is a great smartphone, it isn’t the only one in its price segment. So it all boils down to what are you looking for — cameras over everything else or a flagship chipset?